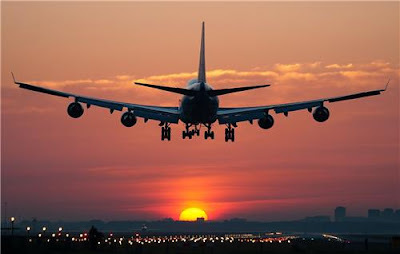 Jaipur : Through the initiative of Rajasthan's Chief Minister, Vashundara Raje, the state is going to become first state of the country where its different cities would be connected under Regional Air Flight Connectivity Scheme. The much awaited regional level flight would be inaugurated from State Hanger of Jaipur International Airport on Tuesday at 10.30 pm. In the first phase the flight from Jaipur to Jodhpur and Udaipur would be started. The target of the State Government is to provide all time air connectivity facility to its tourists and entrepreneur, so that people are able to fly to capital Jaipur every morning and at the same time are able to get back home every morning efficiently. With this vision only Inter-State air service are being started by the State Government. For the service Rajasthan Civil Aviation Department has signed an agreement with the Supreme Transport Organization Pvt. Ltd under which Supreme Airlines shall operate 9 seater Cessna Grand Carvan Aircraft multiple times a day. The aircraft with all facilities, offering seamless connectivity to tourists, businessmen, traders and other investors thereby promoting all regions of the state equally. It is to be noted that under Regional Connectivity Scheme, 15 cities of the state would be connected with each other. The second phase of flight would be starting for Bikaner, Jaisalmer, Kota etc.